Implied odds are somewhat abstract concept and many players use them as an excuse to play trash hands. Learn how to figure out and use them correctly. Following up on my piece about pot odds I’d like to address another oft-misunderstood and misused poker concept: implied odds. Poker players hear this term used liberally, usually by an amateur player justifying their loose call in a large pot. 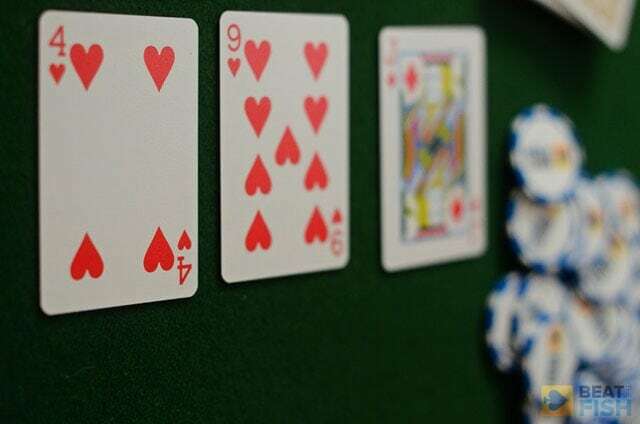 However, they can also be a useful tool, especially in no-limit games, in situations where it’s clear that you will win a large pot if you make your hand. I’d like to go over the basics of implied odds, how you figure them out, and how they can be extremely useful to you at the poker table if used correctly. 1.1 What are implied odds? 1.2 How do I calculate implied odds? 1.5 How are implied odds useful? Implied odds are essentially your best estimation of what you expect to make if you hit your hand. The most important thing to keep in mind about implied odds is the definition itself: they are not exact odds at all. They are merely your best guess after taking into account all factors of the hand’s history and your opponent’s playing history. These “odds” are implied because they do not actually exist mathematically. 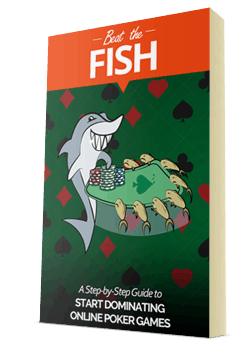 Because you’re trying to put a number on play that hasn’t happened yet and that you aren’t sure is going to happen at all, your expected value can vary significantly depending on how realistically you judge the situation. Again, implied odds are what you figure to make from your opponent(s) on future betting rounds. If you can learn to accurately predict what your opponents will probably do, you can use implied odds in conjunction with pot odds to help make decisions on drawing hands. However, I caution against bringing this concept into play in most situations where proper poker strategy is much more important and practical. How do I calculate implied odds? This is the biggest problem with implied odds: you can’t calculate them. Whereas pot odds are mathematically calculated based on how much money has been bet compared to what is already in the pot implied odds are an estimation of what you think you can make. Calculating your implied odds is not an exact science. You will need to carefully consider all information available to you. Because implied odds aren’t cut and dry they are subject to the individual player and his attitude about the current hand. Players can use this as a reason to make a loose call because they feel that the implied odds are high on a draw. Coversely, I suggest assuming that the implied odds are low in most situations to make you look for reasons to fold a speculative hand. If you’re bored and feel like playing a trash hand it’s easy to say, “Well, I can call that $50 raise with 9-7 offsuit because I can win a huge pot if I hit the flop.” This player would be figuring the implied odds are high. While that may be true, how often will you hit that huge flop and, perhaps even more importantly, will your opponent pay you off when you do? You need much more information than how big the raise is to start to try to figure the implied odds. You shouldn’t figure the likelihood of winning a big pot based on a wild guess or optimistic thinking. When you do that, implied odds become a self-fulfilling prophecy. If you really want to play a hand you look for reasons why you should. If you convince yourself that you’re getting great implied odds on your call despite the information available to you, you’re twisting the concept into reinforcement for doing what you felt like doing. You wouldn’t notice this leak in your game because you convinced yourself that it was a smart play. So, if implied odds aren’t a guessing game, how do you actually figure them out? At a $1/2 NL full cash table you hold pocket fours on the button. Everyone has folded around to the cutoff, who raises to $8. Should you make the call and are your implied odds good on this hand? You shouldn’t overestimate the implied odds. Not every time you hit your set you are going to take your opponent’s entire stack. To both questions I would have to answer no in most scenarios. In this situation, I would either raise (about 20% of the time) or fold (the other 80% of the time). Simply put, the least complicated play would be to fold. Without getting into implied odds, this is tough to play on a flop with likely overcards, so you’d like to either throw the hand away or try to pick up the pot right here. If you don’t feel like taking the risk throw the hand away. But, what about the implied odds? Won’t you win a huge pot if you hit your set on the flop? In this case, there’s no reason to think that you will. Because the cutoff is in a steal situation he probably doesn’t have a big hand that he will commit a lot of chips with on the flop. Even if you hit your set, you need your opponent to have a strong, but second-best, hand to make a lot of money. In this situation, implied odds wouldn’t help my decision. At a $1/2 NL full table you pick up pocket sixes from late position. This time, an early position raiser makes it $10 and there are 2 other callers before you act. Should you call here and do and do implied odds help you make that decision? In this spot I will often take the chance with a call. Unlike the previous example, the initial raiser has shown strength and the extra callers give you better pot odds on the play. Both of these factors also give you good implied odds here, which help to compensate for the 7.5:1 odds you’re getting against making a set on the flop. 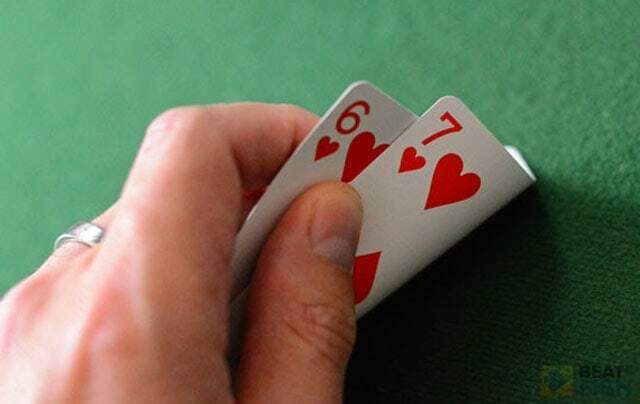 In this hand the best outcome for you is that at least one of your opponents has a big pocket pair and you’re the only one to make a set on the flop. Because of the early position raise and the 5x raise it is likely that at least of them has a big hand. In this case, you expect to make a lot of money if you make your set as most players have trouble throwing away A-K with top pair or an overpair to the board. Implied odds can definitely help you make the call here if you can afford to take a chance. In that same $1/2 NL game with the same raiser and callers as the previous problem let’s say that you had J-10 of spades and called the bet. This is a frisky call (and one that I wouldn’t make too often), but you did have position on the hand and let’s say that you saw a flop for the sake of the example. The flop come 8h-9s-K-c and the raiser bets out $30 and the other pre-flop callers fold. The pot is now $73. Should you call here and do and are the implied odds good? The answer of whether or not to call is perhaps the subject for an another article on the odds and value of drawing. However, this is another situation where I can take the implied odds into play. 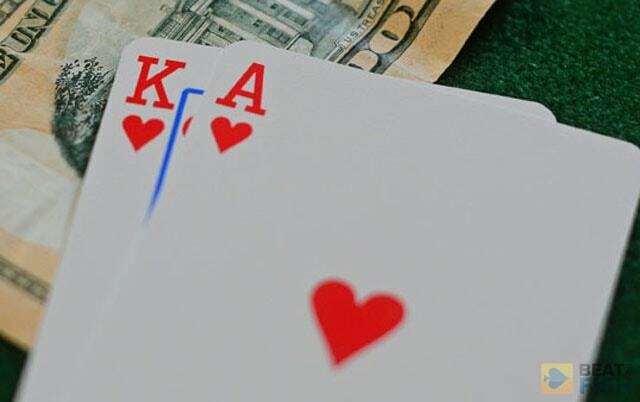 The preflop raiser is representing a hand like A-K or pocket Aces. If you call and hit your straight are you likely to make more money on future betting rounds? The answer here is yes since your hand is fairly well disguised so your implied odds are high here. 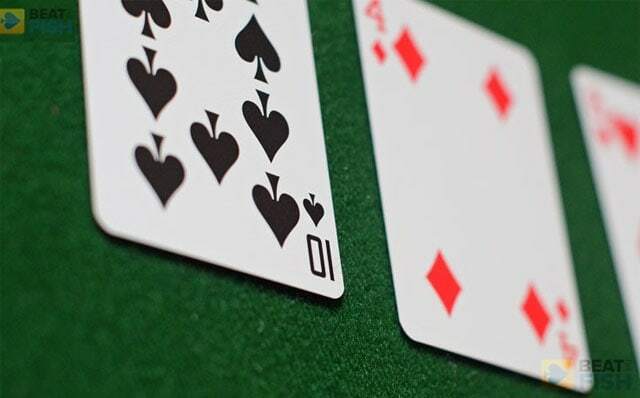 Most beginner and intermediate players, especially online, would have a difficult time throwing away Aces in the face of a 7 or a Q coming out on the turn or river. If you make your straight, you’re likely to take all of someone’s money. Implied odds FTW. You’re in a $2/4 NL full ring game and have As-2c from the big blind. One player in middle position raises to $12 and everyone else folds. The best play would be to fold here with a weak hand out of position, but let’s say that you make the call. The flop comes out with 5s-7s-8s and you check. The raiser bet $15 into you. Do implied odds help you here? Personally, if I had checked on the flop, I would probably dump the hand to a bet. Even though I have the Ace of spades, I don’t think that my implied odds are good here at all. 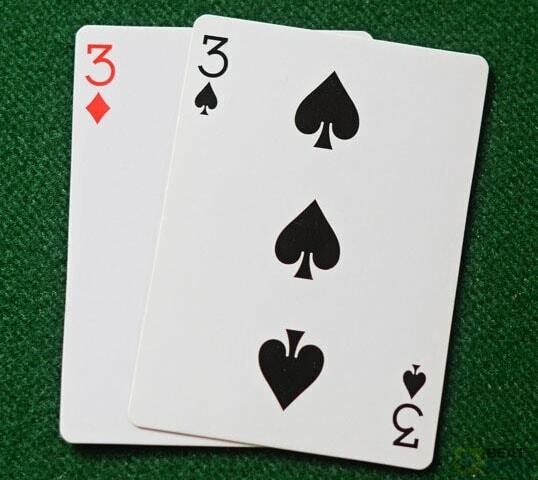 If the raiser has a hand like red Jacks or J-Q of clubs, will he call/bet/raise if a 9s or any other spade materializes and completes your hand? I don’t think so. With a trash straight possible and the obvious spades on the board, unless your opponent has a flush himself it doesn’t seem like you are getting good implied odds here. The problem with a lot of flush draws are that they are so obvious that you can’t count on fooling your opponents when you hit. His $15 bet is an odd one and seems weak. To me, this is not a hand that is likely to make you money down the road. If you want to go ahead and make a check-raise on this flop that’s a completely different pair of shoes. You will be taking initiative with a strong draw and really putting your opponent to the test. However, just calling and waiting for your draw to come in is not likely to make you a lot of money. How are implied odds useful? As I’ve tried to outline with the above examples implied odds are most useful when it appears that your opponents are committed to a hand and you have a good chance at making a big, yet hidden, hand. While it can be tempting to convince yourself that you’re always getting great implied odds try to evaluate the way the hand has actually played out. Instead of using guesswork or wishful thinking, try using the information available in the hand to make realistic decisions. 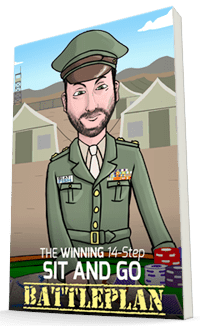 With such highly subjective methods it’s only worthwhile if you’re objective about your chances to build a big pot.